Welcome to the July 9, 2018 edition of ACM TechNews, providing timely information for IT professionals three times a week. Researchers at Harvard University's John A. Paulson School of Engineering and Applied Sciences (SEAS) have developed a new algorithm that exponentially speeds computation by dramatically reducing the number of parallel steps required to reach a solution. The new approach allows the researchers to speed computation for an enormously large class of problems across many different fields, including computer vision, information retrieval, network analysis, computational biology, and auction design, among others. "We can now perform computations in just a few seconds that would have previously taken weeks or months," says SEAS researcher Yaron Singer. The new algorithm samples a variety of directions in parallel; based on that sample, the program discards low-value directions and chooses the most valuable ones to progress towards a solution. The researcher was presented at the ACM Symposium on Theory of Computing, June 25-29 in Los Angeles, CA. Princeton University researchers have successfully stored and transmitted quantum bits (qubits) using a diamond in which two carbon atoms had been replaced with one silicon atom. Princeton's Nathalie de Leon said the diamonds could function as quantum repeaters for qubit-based networks. Her team built electrically neutral silicon vacancies within the crystal lattice of the diamond, with research partner Element Six laying down carbon atom layers to create the crystal and then adding boron atoms. The team implanted silicon ions within the diamond, and heated it to eliminate other impurities that could also contribute charges. The neutral silicon vacancy can transmit quantum information via photons and store quantum data via electrons. The next stage will be constructing an interface between the vacancy and the photonic circuits to bring the photons from the network into and out of the vacancy, known as a color center. Teen-Turn, a European Union (EU) program to provide teen girls the opportunity to gain hands-on technology experience through after-school activities and summer work placements with technology companies, recently hosted a mentorship workshop in Dublin, Ireland, to match girls from disadvantaged areas with leading technology companies for two-week summer placements. The program encourages participation in such initiatives to counter the tech skills gender gap, as well as to encourage more students from underrepresented groups to pursue science, technology, engineering, and math (STEM) careers. Prior to these placements, as much as two-thirds of participants doubted they would fit into a STEM career environment; afterwards, 80% said they would consider a STEM career, with data science and engineering being the most cited fields. The Dublin event sought to highlight Teen-Turn's mentorship program, answer questions, and spotlight some of its top graduates. 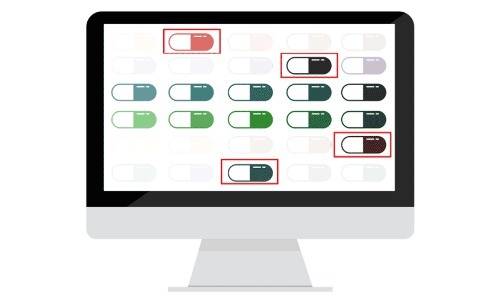 The U.S. Department of Health and Human Services' Office of Inspector General (OIG) is using refined data analytics to combat medical fraud, waste, and abuse. 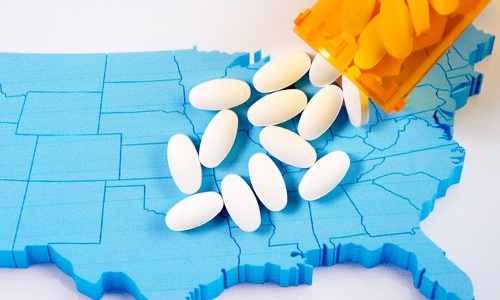 Investigators in OIG's Washington, D.C. headquarters, and in regional offices, are constantly analyzing the Centers for Medicare and Medicaid Services' Integrated Data Repository, building metrics from its vast troves of information to detect potential malefactors. OIG's Tim Kropp says the office is making major investments in new technologies so investigators can work more efficiently and accurately, storing these various tools in the Data Basecamp, a single cloud-based analytics platform. The basecamp features mapping software, open source tools, statistical programs, and software-as-a-service applications to add context to the data. Housing the full app suite in one platform gives investigators access to numerous capabilities and lets them select the tools they require without having to replicate the entire stack for each new probe. 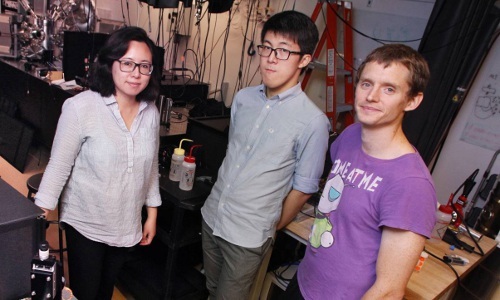 A study conducted by researchers at Rice and Pennsylvania State Universities (Penn State) demonstrates how combining machine learning with quantum chemistry can save time and expense in designing new catalysts. The team began with a catalog of about 330,000 properties for each of several metal-substrate combinations, including factors such as oxide formation energy, coordination number, alloy formation energy, and ionization energy. "The machine-learning algorithm looks for the combinations of those descriptors that correlate with the observed data on binding energies," says Penn State's A.S.M. Jonayat. Identifying such correlations can streamline catalyst design by making it possible to predict how materials will behave prior to laboratory testing. In addition, machine learning can identify interesting effects that are worthy of further study. The 4G wireless telecommunications protocol is susceptible to the same types of remote exploitation as 3G, according to a new report from cybersecurity firm Positive Technologies. Signaling System No. 7 (SS7), the protocol supporting 3G, is vulnerable to hackers intercepting or tracking call data. Although 4G's Diameter protocol was supposed to mitigate some vulnerabilities, the report shows hackers could shift a device to 3G mode to exploit SS7 flaws. In addition, most mobile operators use 4G for Internet access but 3G for text and voice services, the report says. To minimize the risks with the Diameter protocol, the researchers advise organizations to continuously monitor and analyze signaling traffic for early detection and prevention of suspicious activity. The report highlights the challenges of securing telephony protocols from one network generation to another, as security advocates aim to strengthen protocols with forthcoming 5G standards. U.S. lawmakers have raised concerns about SS7 security, and the U.S. Department of Homeland Security recently announced that "nefarious actors" may be exploiting SS7 to spy on Americans. Scientists at the Daegu Gyeongbuk Institute of Science and Technology in South Korea have developed a new data analysis system that can analyze big-data patterns up to 1,000 times faster than the world's current best pattern-mining technology. 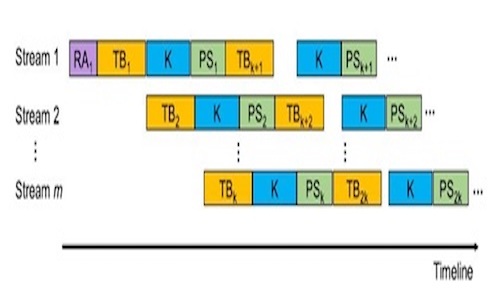 The GMiner technology uses anti-intuitive techniques that combine the temporarily calculated medium-length patterns using thousands of cores on graphic-processing units (GPUs) to calculate the ultimate length of patterns. 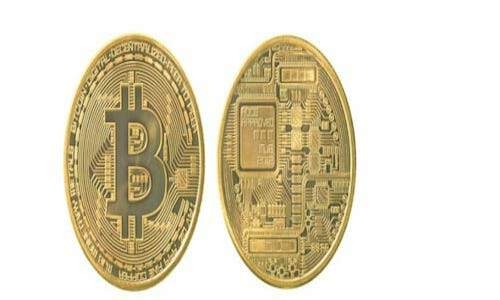 The researchers say GMiner technology resolved the issue of insufficient memory associated with existing pattern-mining technologies by not storing an exponential number of medium-length patterns in memory. In addition, they say, the new system has solved the slow speed challenge by streaming data from main memory to the GPU while simultaneously seeking patterns. GMiner's advanced capabilities enable it to analyze big data on a larger scale than existing technologies. An artificially intelligent robot last week was launched to the International Space Station to assist with scientific experiments. The Crew Interactive Mobile Companion (CIMON) is designed to help the crew go through the steps outlined in a manual, display pictures of certain parts of the experiment, and answer related questions. 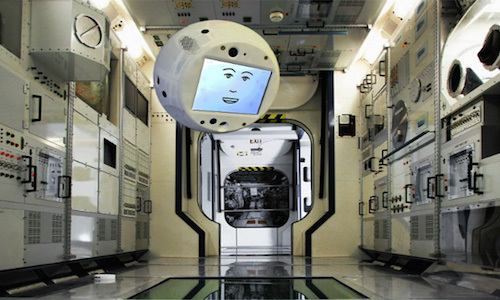 The Airbus-designed CIMON is powered by IBM's Watson supercomputer, and is directed by cameras and vocal commands; it also can hold a dialogue and transmit information to mission commanders on Earth. Astronaut Alexander Gerst is CIMON's primary operator, and he can summon the robot by speaking its name. In addition to going through experimental tasks, CIMON's helpfulness will be tested by assisting Gerst in solving a Rubik's cube. An international team has demonstrated that algorithms and hardware developed for quantum computation can be applied to quantum-enhanced sensing of magnetic fields. The researchers used a single quantum bit (qubit), based on a superconducting circuit, to measure magnetic fields with high sensitivity, using "quantum trickery" to push the limits. The transmon qubit allows flexibility in engineering circuits to match the problem at hand. Leveraging this flexibility, researchers at Aalto University in Finland developed a transmon qubit in a configuration suited to sensing magnetic fields. To maximize measurement accuracy, the team, guided by researchers from Switzerland’s ETH Zurich, the Moscow Institute of Physics and Technology, and the Landau Institute for Theoretical Physics in Moscow, implemented two dedicated phase-estimation schemes that exploit the coherent nature of qubit dynamics. The researchers performed the measurements adaptively, changing sampling parameters depending on previous outcomes. This Bayesian inference enabled the team to reach a sensitivity about six times higher than that achieved with classical phase estimation. That "quantum boost" helped overcome the shot noise, which limits the precision of standard measurement. 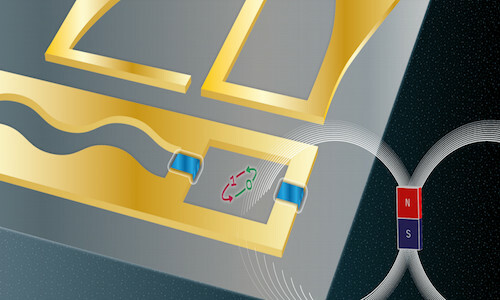 Using quantum hardware and quantum algorithms for quantum sensing could lead to new devices that make single- or multi-qubit magnetometers far more sensitive than current magnetic-field sensors. A startup spun off from Lancaster University in the U.K. has patented the first-ever practical quantum random number generator (QRNG), which can be incorporated into any new or existing electronic device without raising cost or complexity while maintaining an extremely high maximum speed. "At Quantum Base we have created a small, low-power device that produces pure random numbers," says CEO Phillip Speed. "It can be incorporated into any electronic product with little or no incremental cost once volume production is achieved." The creators of the super-small Quantum Base QRNG say it offers unbreakable encryption because it is based on the intrinsic uncertainty of subatomic particles. Two U.S. Department of Energy (DoE) national lab are using supercomputers to simulate the impact of a large-magnitude earthquake along the Hayward Fault in California with unprecedented precision. The research at Lawrence Berkeley National Laboratory (Berkeley Lab) and Lawrence Livermore National Laboratory shows how different seismic wave frequencies of ground motion affect structures of various sizes. Berkeley Lab's David McCallen says these simulations give scientists a more realistic view of a major earthquake's potential impact on the region. The team recently ran a simulation using the Cori supercomputer at Berkeley Lab’s National Energy Research Scientific Center to simulate high-frequency (5-hertz) ground shaking. 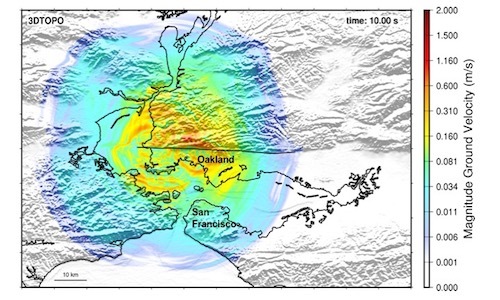 The researchers also simulated ground motions at various frequencies, which were fed into a second computer program for building response to quantify seismic risk. In 9,600 structural dynamic simulations, the researchers studied the risk variation on a 100-kilometer by 50-kilometer domain for events with magnitudes of 6.5 and 7. High-resolution, physics-based simulations “can both increase understanding of and reduce uncertainties about the very complex processes at play in earthquake science and engineering," McCallen says.